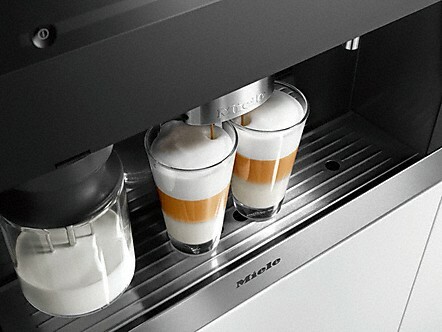 - Built-in coffee machine with bean-to-cup system - the Miele all-rounder for the highest demands. Ideal distance: The CupSensor recognises the cup rim and alters the position of the central spout accordingly. Very sensible: The lock mechanism prevents unintentional operation, for example even by children. Perfect coffee pleasure: Patented technique warms the cups half an hour before the switch-on time.